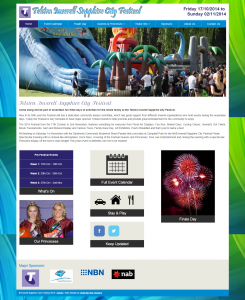 Inverell Web Design - In 2019 Waterfall Way Designs can help your Inverell business online. 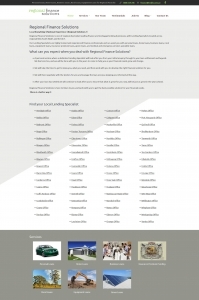 Below is a list of clients we have worked with in Inverell. Please contact us for an obligation free discussion about how we can help your business. We pride ourselves on providing an effective online presence for you with ongoing support. Sapphire City Removals are a family owned and operated business with highly experienced workers who take care of your furniture as if it was their own. 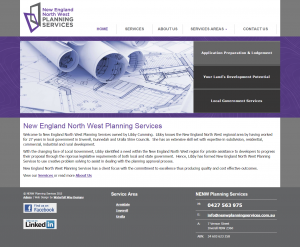 Website to promote their services, to showcase recent projects, and to make it easy for people to get a quote. 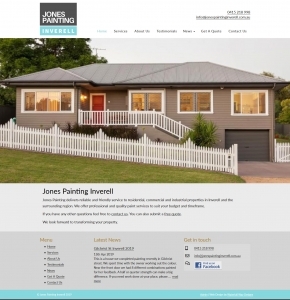 Jones Painting Inverell delivers reliable and friendly service to residential, commercial and industrial properties in Inverell and the surrounding region. They offer professional and quality paint services to suit your budget and timeframe. We built a new website and provide photography and ongoing online marketing for Brendan and his team. 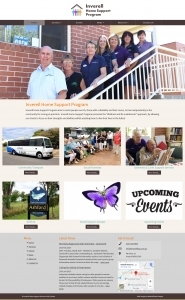 Inverell Home Support Program aims to assist people over 65, those with a disability and their carers, to live independently in the community for as long as practical. We did their first website back in 2016. As part of their ongoing support package we have done a new one to keep up with technology, Google, and changes in their business. Motor Mecca is a family owned and operated business servicing the Inverell region for over 30 years. Whether you are mowing, pruning, cutting or mulching, they are your outdoor power equipment specialist. We originally did their website in late 2012, then another one in 2015 as part of our monthly support. Then this latest one in 2019. All to keep Graeme and Toni's business well represented online bringing them new customers. Regional Finance Solutions is one of regional Australia’s leading finance and mortgage broking businesses, with Lending Specialists located across regional New South Wales and the ACT. 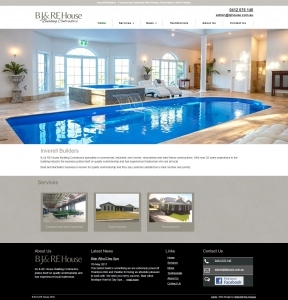 This is the second website we have built for David and Debbie as part of their monthly plan with us. 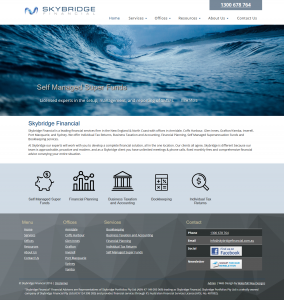 This one was based on what we have learnt from their clients use of the old website. This was also designed for mobile first. John Green Constructions are a family owned, locally based, trusted, construction company of over 40 years’ proven, standing. They are experienced in Residential new build, Commercial projects, Renovations and extensions. They are the regional representatives for two major Australian building firms: Hotondo Homes and Ranbuilt Steel Constructions. We hosted their old website for them, upgraded it in 2015 with ongoing support - website updates, photography, video and social media management. In 2018 we did a completely new website again to take advantage of changes in technology. 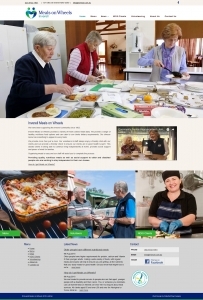 Inverell Meals on Wheels - Providing quality, nutritious meals as well as social support to older and disabled people who are wanting to stay independent in their own homes. Website to promote service to local clients and their relatives in larger cities and interstate. 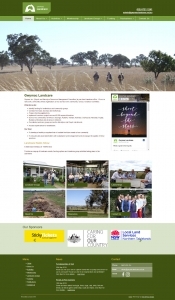 Gwymac Landcare coordinates landcare groups across the Macintyre and Gwydir catchments. Gwymac Landcare is a non-profit, community owned organisation, providing a free service to the community, run by a volunteer committee. 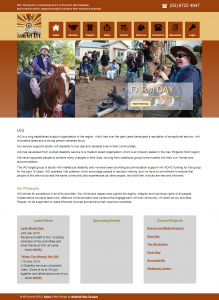 Gwymac Landcare chose Waterfall Way Designs to host their existing website in 2011. Then in early 2013 we completed a new website for them to make it easier for them to update. In 2018 we did another website for them to make it mobile friendly and fit their current needs. We did Twin Swan's original website back in 2015. This was just after Jennifer and Leon had purchased the business. It has come so far in that time, you need only look at the testimonials to see how well they are doing. And they are still renovating! Jennifer signed up to our monthly support so included in that is a new website every 3 years to take advantage of changes in technology, Google, social media and business and customer needs. 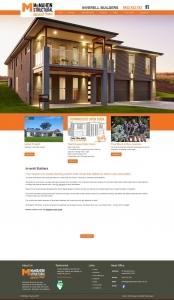 Lehman Stock & Property approached us for a new mobile friendly website that was easy for them to update. 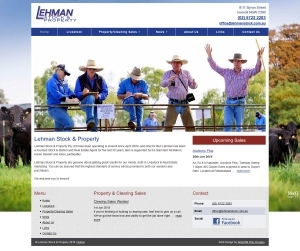 Lehman Stock & Property have been operating in Inverell since April 2009, and director Ben Lehman has been a licensed Stock & Station and Real Estate Agent for the last 30 years. Lehman Stock & Property are genuine about getting great results for their clients, both in Livestock & Real Estate marketing. You can be assured that the highest standard of service will be provided to both our vendors and purchasers. 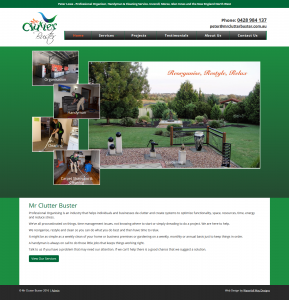 We transferred Sapphire City Caravan Park's old website to us when their website designer went out of business. After a couple of years support, they decided to get a new website through us. The new website works well on mobile devices and is easy to update. 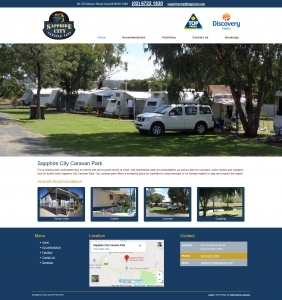 For a relaxing and comfortable stay in Inverell with and a great variety of clean, well-maintained cabin accommodations as well as sites for caravans, motor homes and campers, look no further than Sapphire City Caravan Park. 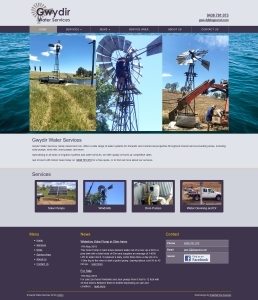 Gwydir Water Services, family owned and run, offers a wide range of water systems for domestic and commercial properties throughout Inverell and surrounding areas, including solar pumps, wind mills, bore pumps, and more. New website with ongoing monthly support. We built the original website for Leonie back in 2011. With technology changes, consumers using mobiles more, and changes to their business, they needed a new website in 2018. 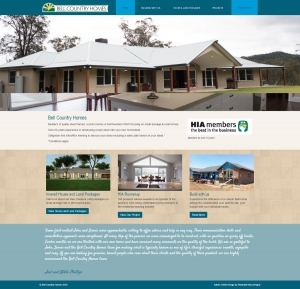 Bell Country Homes are builder's of quality, steel framed, designer homes in North West NSW. Power Transmissions Australia specialises in Fuji, CASE and Twin Disc Powershift Transmissions repair or exchange with fast and reliable turnaround. 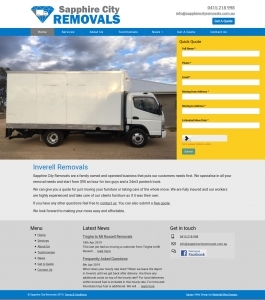 Website to promote their services in a specialised area with demand Australia wide. 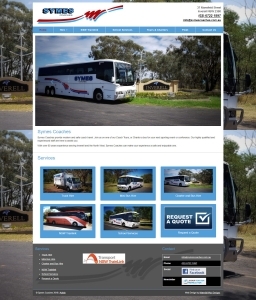 Symes Coaches have been providing professional bus and coach services to Inverell and the North West for over 60 years. We did their original website back in early 2012. They needed a new website because more of their customers were using mobiles, they needed the website to better reflect the current business. They also wanted it to answer more of the questions customers were asking them. 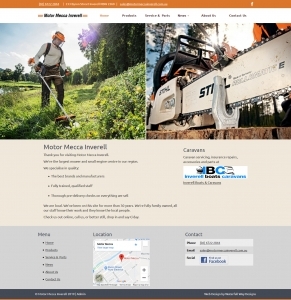 New website for local builders. 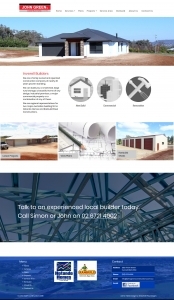 BJ & RE House Building Contractors specialise in commercial, industrial, new homes, renovations and steel frame constructions. With over 25 years experience in the building industry the business prides itself on quality workmanship and has experienced tradesman who are all local. We will be helping with ongoing updates, photos, facebook, newsletters etc. 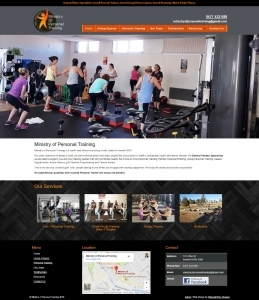 Ministry of Personal Training is a health and fitness consulting studio based in Inverell NSW. A small, person-centered studio that helps people achieve a healthy sustainable health and fitness lifestyle. Website allowing people to view and book upcoming classes and learn more about MOPT. 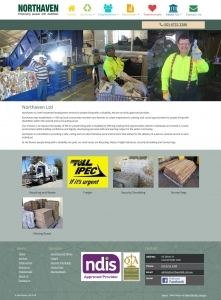 Vineyard Joinery moved their website to us in 2011. In late 2017 they approached us to get a new website to make updating it easier. They also noticed their customers using mobile phones more and needed a website that made accessing their services easy. 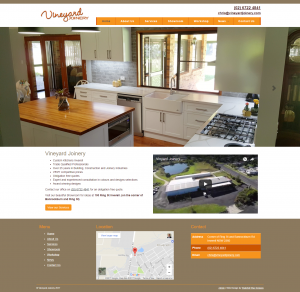 Chris and Lea Russell have been operating Vineyard Joinery for over 20 years and have continued building quality kitchens, robes, vanity's and laundry joinery projects for customers across the New England Region. The team at McMahon Structural specialises in custom built new homes, construction, alterations and additions. Based in Inverell and working throughout the New England Region our team can help you with all your building needs from concept through to completion. We did Anka and Ben's first website back in 2014. In 2017 they approached us for a fresh look using the latest technology. 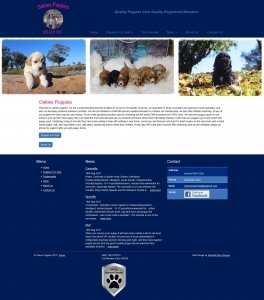 Oakies Puppies breed cavoodles, spoodles, and miniature poodles on 22 acres in beautiful rural NSW. They are full members of AAPDB and are audited annually. All their male purebred poodles used for breeding are full breed DNA screened and 100% clear. "We welcome puppy buyers to our home to pick up their new puppy, they can meet the mum and dad and see our kennels and know where their new family member came from". Riverslea Group is a family owned and run operation with 5 properties through NSW and Victoria. Riverslea bulls are prepared under realistic commercial conditions, tough but healthy. They are made to forage and walk. The females must produce a calf each year. To keep a spot in the herd, they have got to be sound. If they don't have a great temperament, they are out the gate, no second chances. 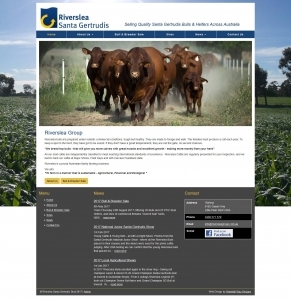 Website to promote group and Bull & Breeder Sale. 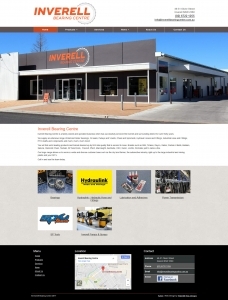 Inverell Bearing Centre is a family owned and operated business which has successfully serviced the Inverell and surrounding district for over thirty years. We built IBC's original website in late 2013. We have now built a completely new mobile friendly website in 2017 and will provide monthly support for online marketing. 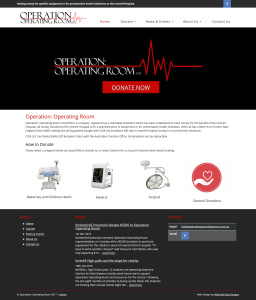 Operation: Operating Room Ltd is a local charity that raises money for the Inverell Hospital. All money donated to the Inverell Hospital is for a specified piece of equipment or for preventative health initiatives. Website to assist with displaying their work and receive donations. Josh is a third generation Inverell local and has over 16 years experience in the plumbing trade. He is conscientious, hard working, and keen to grow his business. We will be working alongside him in 2017, taking photos, making videos, creating newsletters, updating his website, following up with customers, making business process software to assist manage his business. Northaven's mission is to improve the quality of life for people living with a disability by offering employment opportunities wherein individuals are trained in a work environment while building confidence and dignity, developing personal skills and earning respect in the wider community. Northaven is an approved NDIS provider. 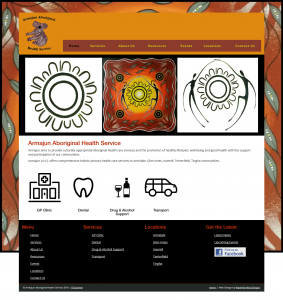 Armajun aims to provide culturally appropriate Aboriginal health care services and the promotion of healthy lifestyles, well-being and good health with the support and participation of our communities. 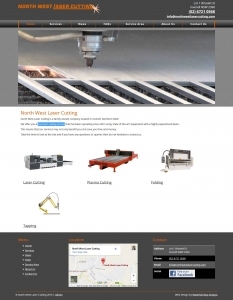 North West Laser Cutting is a family owned company located in Inverell, Northern NSW. They offer precision cutting service that has been operating since 2001 using 'state of the art' equipment with a highly experienced team. We did their original website in late 2014. They have now signed up to our monthly support to assist with their digital marketing. 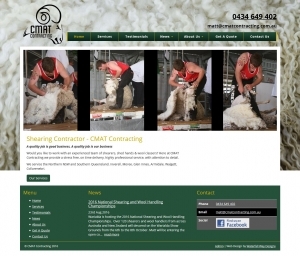 CMAT Contracting provides a range of shearer work to Northern NSW and Southern Queensland. Full Contract Shearing Service, Wool Press Hire, Clip Preparation by Experienced Staff, Shed Maintenance & Fitout, Labour Hire. Sober, Drug Free Teams. 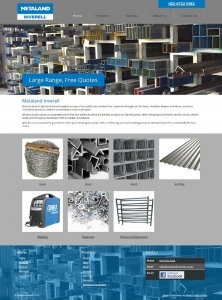 Based in Inverell, Metaland Inverell supplies a range of top-quality steel products for customers throughout Glen Innes, Warialda, Bingara and Moree, as well as Tenterfield, Bundarra, Ashford and Northwest New South Wales. They are a locally owned and operated family firm who believe in delivering the best products for the best prices. With free quotes and friendly service, they also deliver locally and throughout Northwest NSW for added convenience. This is a sister company to Sapphire City Engineering and so has the same style. 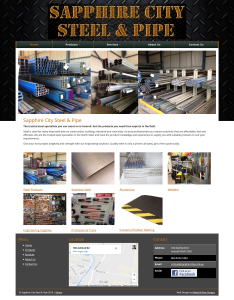 Sapphire City Steel & Pipe supply an extensive range of steel sections and associated products to meet the needs of everyone from home renovators and experienced builders to enterprising farmers and precision-driven engineers. 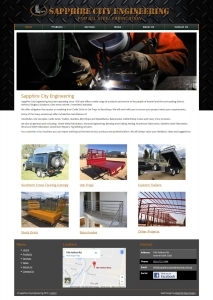 Sapphire City Engineering has been operating since 1995 and offers a wide range of products and services to the people of Inverell and the surrounding district. Ute Bodies, Ute Canopies, Cattle Grids, Trailers, Stainless Benchtops and Splashbacks, Balustrades, Cattle/Sheep Crates and many more products. Peter & Janelle Lowe are Professional Organisers. They help individuals and businesses de-clutter and create systems to optimize functionality, space, resources, time, energy and reduce stress. They reorganise, restyle and clean so you can do what you do best and then have time to relax. 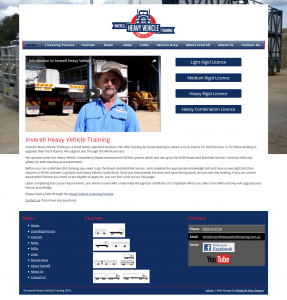 Inverell Heavy Vehicle Training is a small family operated business. They offer training for those wishing to obtain a truck licence for the first time, or for those wishing to upgrade their truck licence. They support you through the whole process. We did the original website back in early 2014. They recently signed up to our ongoing monthly support. 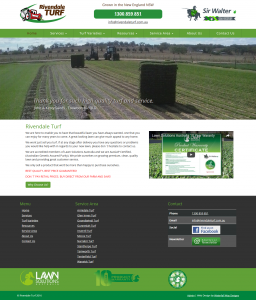 Rivendale turf grows quality Sir Walter Buffalo and Kikuyu right here in the New England. We started work with Rivendale Turf in late 2013. They paid a one off fee and we made a website they could update and left them with it. Over the years it performed well in Google searches and they got work from Gunnedah to Goondiwindi. Recently they approached us to get some more help online. A new mobile friendly website, help setting up and maintaining a Facebook page. Some regular newsletters. Photography and videos. They signed up to our monthly plan. We look forward to an ongoing involvement in their business, increasing their enquiries and sales. This is a unique accounting business. They are focused on improving clients’ lives and finances and provide expertise and ongoing support. They have offices in Armidale, Coffs Harbour, Glen Innes, Grafton/Yamba, Inverell, Port Macquarie, and Sydney. They offer Individual Tax Returns, Business Taxation and Accounting, Financial Planning, Self Managed Superannuation Funds, and Bookkeeping services. 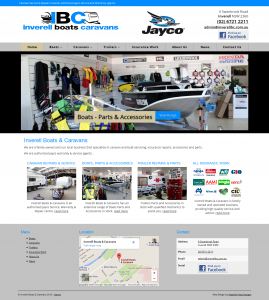 This is a family owned and run local business that specialise in caravan and boat servicing, insurance repairs, accessories and parts. They are authorized Jayco warranty & service agents. My Sapphire has a unique story and product. The family have been mining sapphires in the New England for over 50 years. Dallas now designs and has beautiful sapphire jewellery made from their own gems. This assures you of a quality gem with know origin and cost savings due to their vertical integration. Beautiful pieces she can register post Australia wide. Check what new designs she has today. 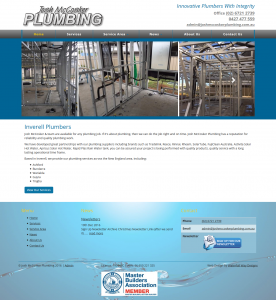 This is the second website we have built for Dallas, the first one was in early 2013. 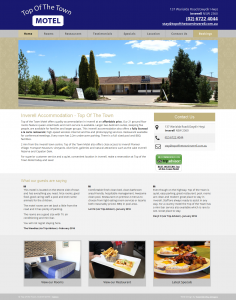 Top of the Town Motel offers quality accommodation in Inverell with 21 ground floor rooms, a full sized pool, undercover parking, room service and a fully licensed a la carte restaurant. 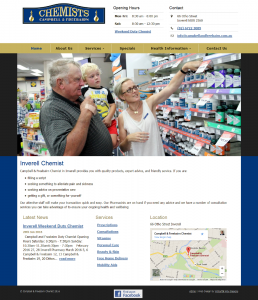 Campbell & Freebairn Chemist in Inverell provides you with quality products, expert advice, and friendly service. 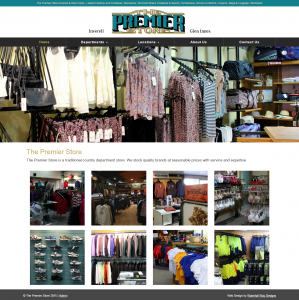 The Premier Store is a traditional country department store, stocking quality brands at reasonable prices with service and expertise. They have been in operation for well over 100 years. 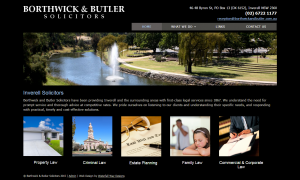 Borthwick and Butler Solicitors have been providing Inverell and the surrounding areas with first-class legal services since 1867. Website to provide details of services and to appear in local searches. 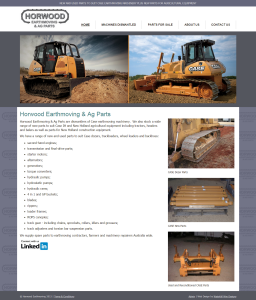 Horwood Earthmoving supply Case second-hand earthmoving spare parts to earthmoving contractors, farmers and machinery repairers Australia wide. They also supply new agricultural equipment. Back in 2011 Pru and Charlie started work with us. In mid 2015 they signed up for our monthly support. With a new mobile friendly website and ongoing support, we look forward to increasing their leads and sales through the website. 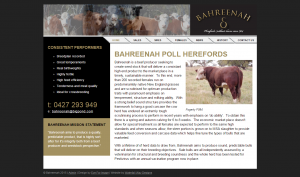 Bahreenah is a Poll Hereford stud located between Inverell and Guyra in rural NSW. IAS service supports adults with disability to live real and valuable lives in their communities. IAS is a long established support organisation in the region, which has over the past years developed a reputation of exceptional service, with innovative ideas and a strong person centered focus. Virginia is the corporate consultant who has been helping us restructure our business so we can continue to stay in business. She has reignited our passion for our business and we are finding our new direction more satisfying and more beneficial for our clients. Check her out, you won't regret it. "Strategic planning restructuring and positioning are not A heavy planning pow-wow and A weighty document. Strategic capabilities come from continuous and subtle changes that filter throughout the business over time. They come with the guidance of an objective advisor who collaborates on plan by plan, case by case and incident by incident basis." Libby provides assistance to developers to progress their proposal through the rigorous legislative requirements of both local and state government. Libby knows the New England North West regional area by having worked for 27 years in local government in Inverell, Gunnedah and Uralla Shire Councils. She has an extensive skill set with expertise in subdivision, residential, commercial, industrial and rural development. 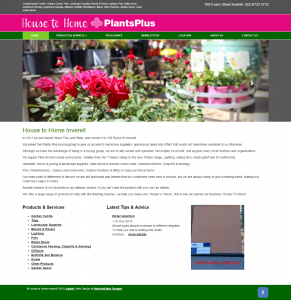 House to Home is Inverell's Garden Centre. They are locally owned and operated and stock a wide variety of products for your Home and Garden. This annual festival goes for 2 weeks in October in the rural town of Inverell. It features something for everyone from Floral Art Displays, Fun Run, Market Days, Cycling Classic, Inverell’s Got Talent, Bowls Tournaments, Gem and Mineral Display and Various Tours, Family Race Day, Art Exhibition, Poet’s Breakfast and that’s just to name a few! 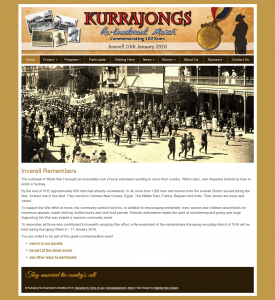 The Kurrajongs Re-enactment March will be held during Kurrajong Week 8 – 17 January 2016. To remember all those who contributed to Inverell’s amazing War effort. Look through the website to see how you can get involved and read some wonderful stories. 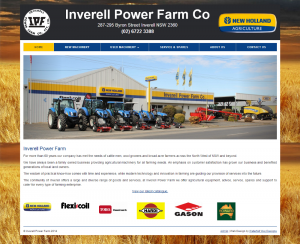 Inverell Power Farm is a family owned business providing agricultural machinery for all farming needs for the past 60 years. An emphasis on customer satisfaction has grown their business and benefited generations of local land owners. 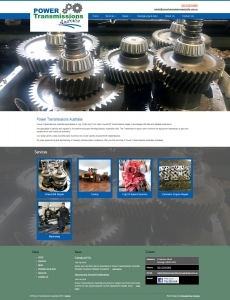 Website to promote new and used machinery and their spares and service. 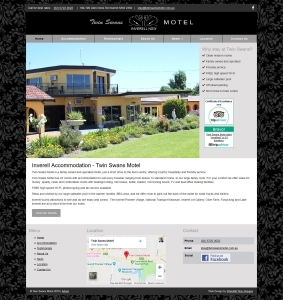 Cousins Motor Inn is an accommodation business in Inverell. With a change in management there was a need to freshen up the old website. Making it easier to use for customers, showcasing the ongoing refurbishment. Making it easier for the new managers to update the website. And making it perform better in Google. 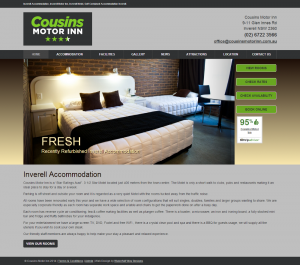 Check it out today and consider Cousins for your next stay in Inverell. 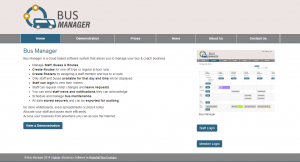 Bus Manager is a personal project we have developed for the Bus Industry. It assists businesses in managing their Drivers, Buses, Routes and Rosters. Staff can have their own individual login to view their rosters, see news, request leave etc. Managers can plan their rosters and run their business with the assistance of the website. Check it out and please tell anyone you know who has a bus company. Arlingtons have been serving the Inverell community since 1977. 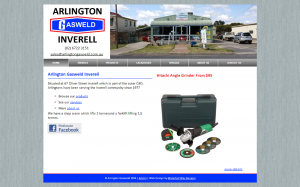 For all your tool needs drop in and experience their excellent service and advice. 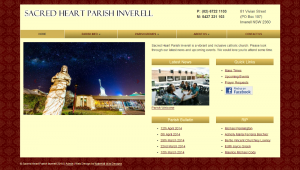 Sacred Heart Parish Inverell is a vibrant and inclusive catholic church. Please look through our latest news and upcoming events. We would love you to attend some time. 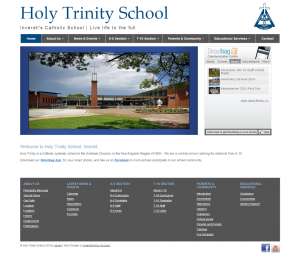 Holy Trinity is a catholic school in Inverell, NSW. Website to attract new students and families, to inform existing students and families, and staff. With the expertise of the school's IT we have been able to integrate Google Docs, Calendars, Skoolbag and social media. 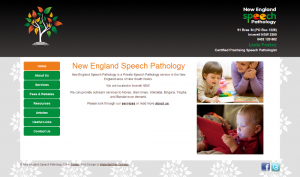 New England Speech Pathology is a Private Speech Pathology service in the New England area of New South Wales. From a range of therapy programs that are designed to improve childrens speech, language and/or communication skills. Right through to the elderly. Explore the proud heritage of Inverell and the district’s development from our pioneering forefathers. All of the buildings on the premises are from the Inverell district and have been relocated and restored to their prior glory. 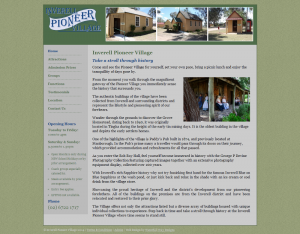 Website to showcase the buildings and collections at Inverell Pioneer Village and assist visitors to the region. Watkins Dental Surgery provide a large range of treatments. From the basic dental check up right through to comprehensive multi-faceted treatment programs and orthodontics. 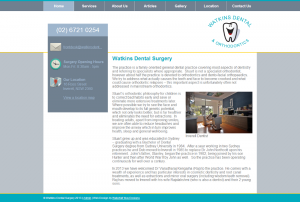 Watkins Dental is located in Inverell and their website showcases their services and expertise. Website to present gallery, classes and workshops, news and upcoming events. 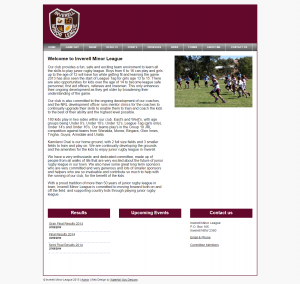 Website for the Inverell Minor League. Centralising information for parents and players. Including the draw, results, news and events. Also promoting businesses that contribute to the league. 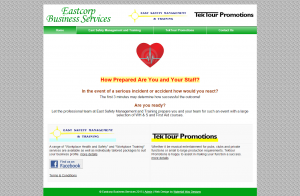 Eastcorp Business Services provide a range of "Workplace Health and Safety" and "Workplace Training" services. Website also promotes Allen's musical interests under TekTour Promotions. 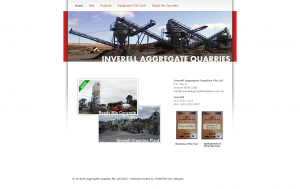 Inverell Aggregate have quarries in Inverell and Guyra. They supply quarry rock, aggregate, ballast, gabian, various rock, fill and dust. They also do Ready Mix Concrete, and equipment hire and sales. 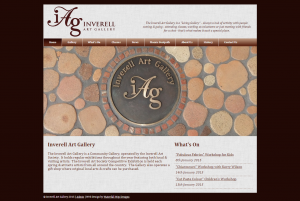 Inverell Aggregate chose Waterfall Way Designs to provide hosting and ongoing support for their existing website. 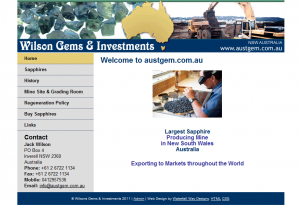 Austgem is the largest producer of uncut sapphires in Australia, operating the Reddestone mine at Glen Innes and the Great Northern Mine at Kings Plains. The Wilson family were among the first miners on the NSW fields in 1964. 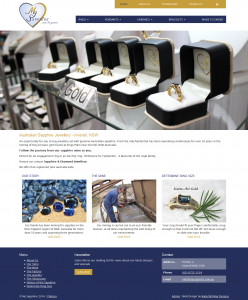 Austgem needed a local business to provide hosting and support and have moved their existing website to Waterfall Way Design's servers. Andrew Clarke is a local author from Inverell. 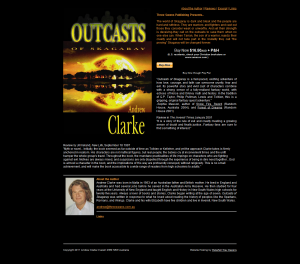 This website promotes his fantasy book Outcasts of Skagaray and can be purchased through the website. Andrew needed a local business for website hosting and support. We moved his existing website to our servers and look forward to helping him sell more books. Alpaca Stud Farm set in the beautiful highlands of the New England. Great deal of information and beautiful photos. 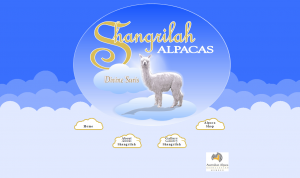 Website to share Alpaca Information, Photos, and Sell Pure Suri Alpacas.